To make the aioli, combine the French's Classic Yellow Mustard, mayonnaise, garlic, smoked paprika, salt, red onion and sun-dried tomatoes then reserve until needed. 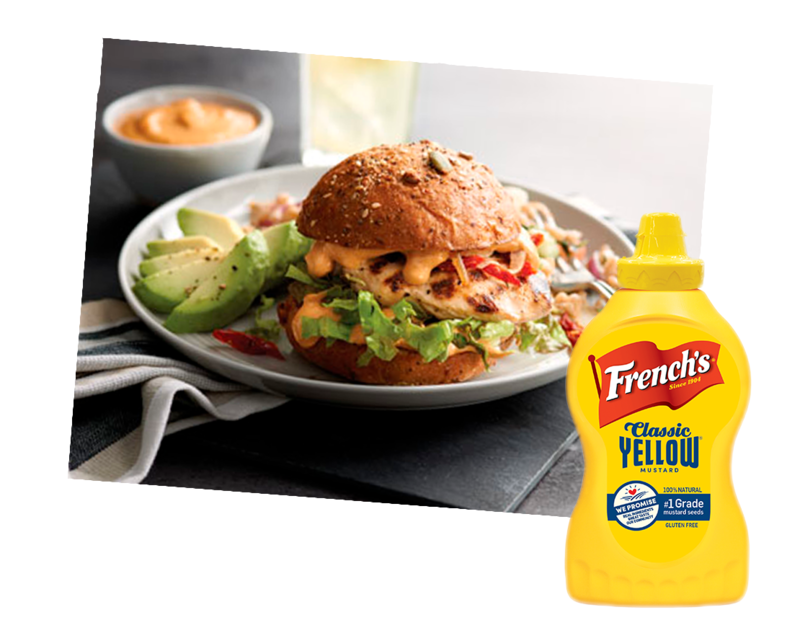 Spread the bottom bun with a tablespoon of the aioli and then top with lettuce and grilled chicken breast. Top with more aioli and top bun.